This is it – the mask you've been waiting for. 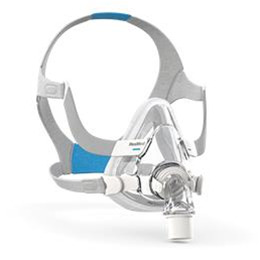 Introducing the AirTouch™ F20 Full Face Mask, the first mask to use UltraSoft memory foam for a perfect blend of comfort and performance. The AirTouch™ F20 Full Face Mask's plush memory foam cushion is designed to adapt to the unique contours of each individual face, creating a light, breathable seal that stays in place throughout the night.